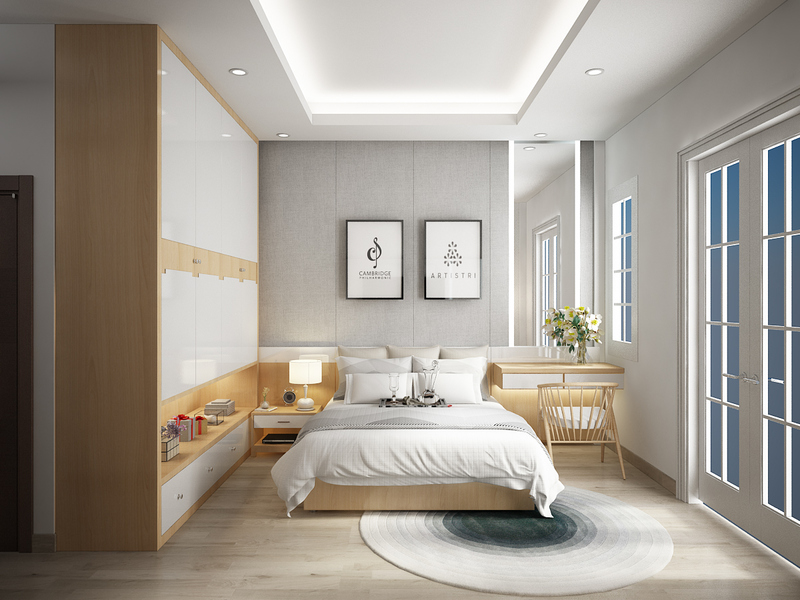 Are you planning to update your bedroom decor, or maybe even start a renovation from the ground up? This post is all about inspiration! 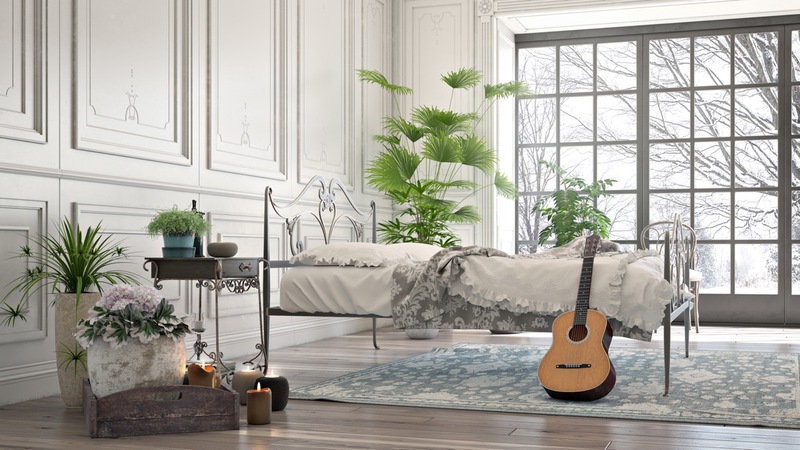 We’ve collected a list of 40 bedrooms that span a huge range of styles from contemporary to classic, eclectic to minimalist, and everything in between – a little something for everybody. 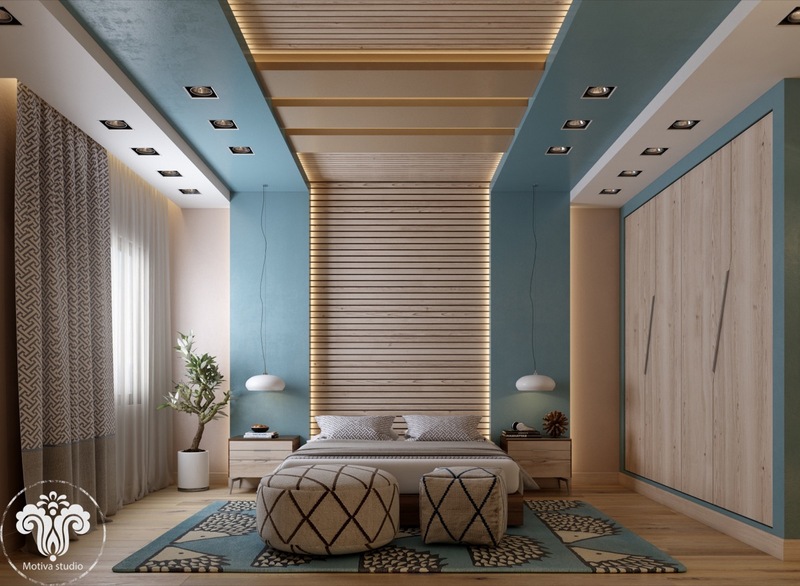 Whether you’re looking for creative accent wall ideas, different bed frame designs, or just want to check out some neat color palettes or fresh decor motifs, you’re sure to find something for your sketchbook in one of these breathtaking retreats. 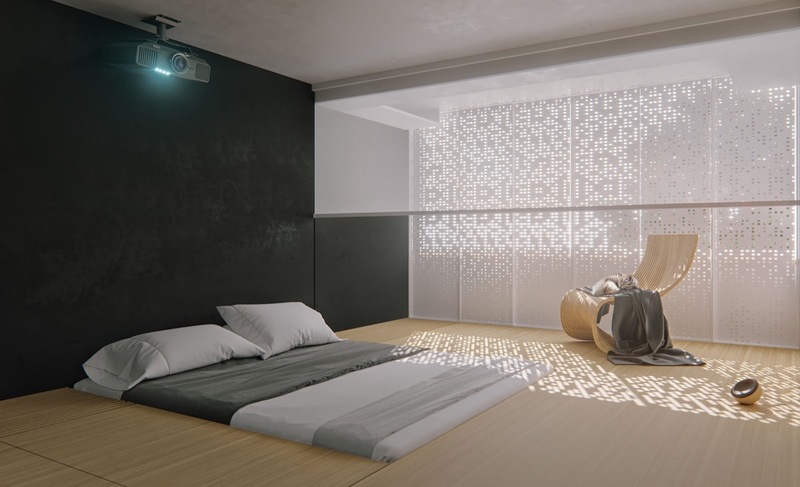 Geometric latticework, dramatic lighting, and understated decor all transform this otherwise industrial bedroom into a sophisticated retreat. Intricate boiserie and delicate wrought iron details make this bedroom look lighter than air. The indoor house plants help bring the outdoors in. With backdrop like this, a straightforward interior is the only way to go – the furniture is comfortable and stylish without upstaging the beautiful view outdoors. This interior also takes a simple approach, using natural motifs to match the verdant balcony with its hanging planters and potted trees. Vibrant, unique furniture makes this bedroom stand out from the rest. 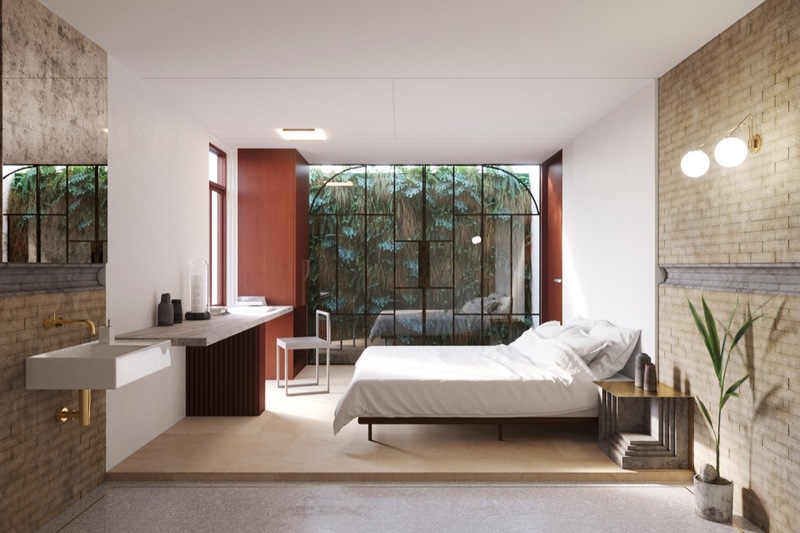 Designed as part of a hotel concept, this creative space uses minimalist features to frame a unique window at the end of the room. 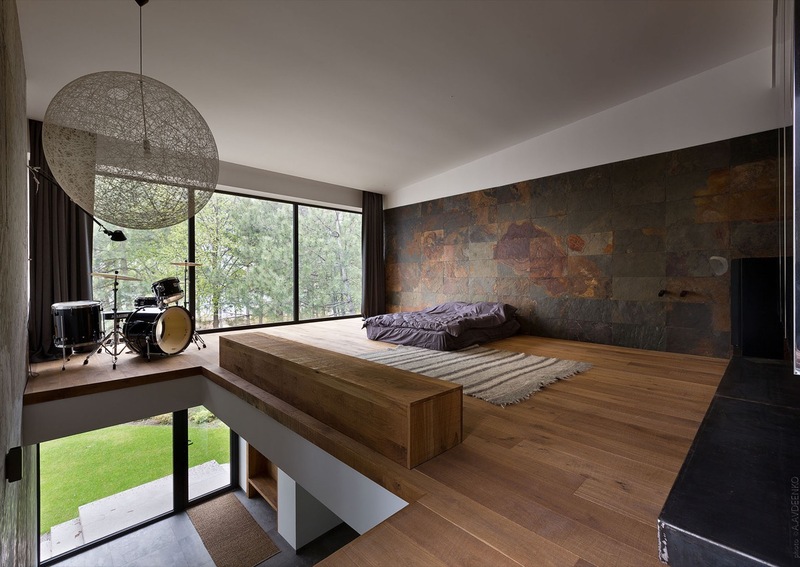 The picture windows and deep mezzanine offer a dramatic setting for the drums – sometimes the best interior design for musicians is simply having wide open space to work. 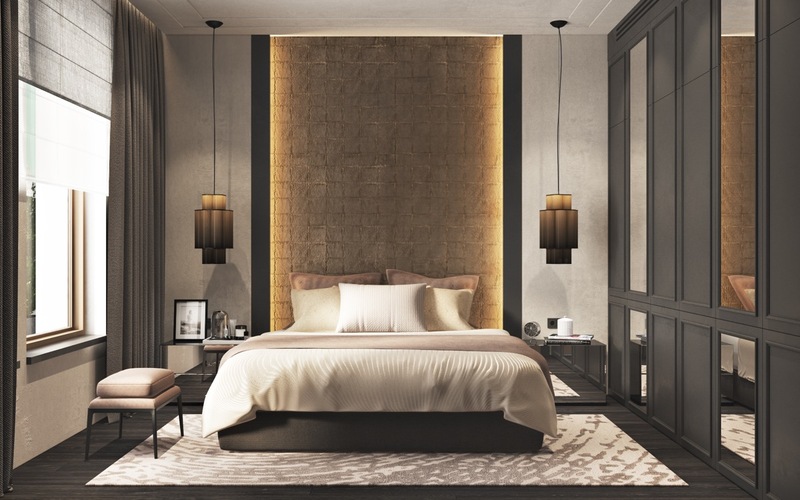 Moving away from purely scenic homes, this space makes a big impression with its illuminated bedroom wall texture. Here’s another take on the same wall panels. 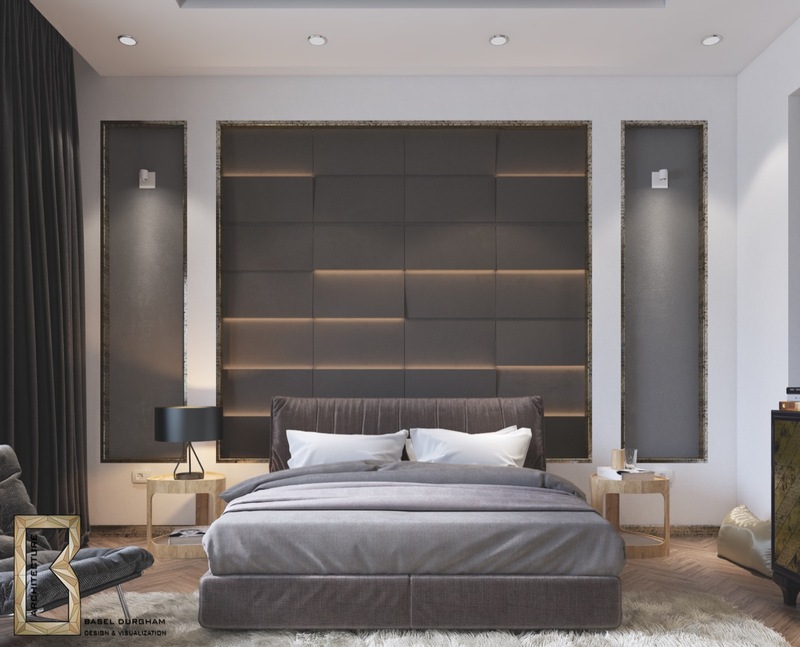 Although this room has plenty of strong overhead lighting, the wall panels are better for setting a calmer mood in the evening. 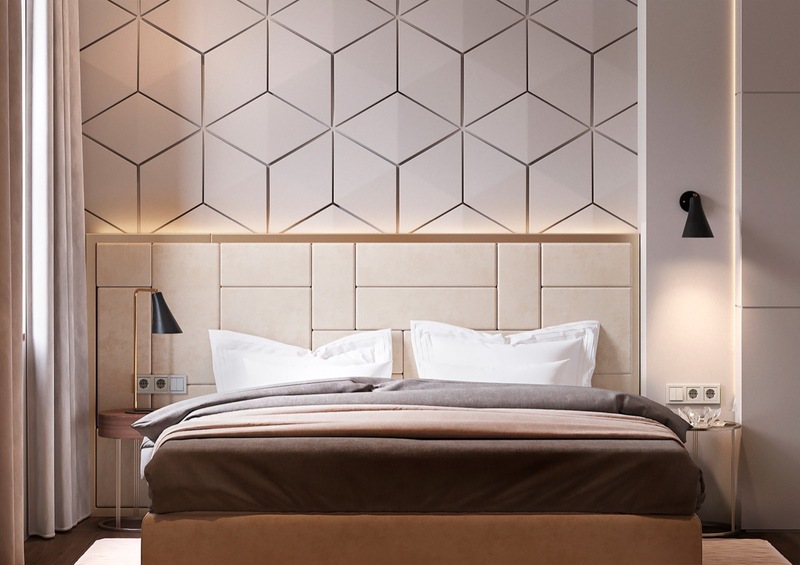 These wall panels don’t include their own lights, but their subtly tilted facets do a wonderful job of catching the light from the window and the recessed fixture behind the headboard. 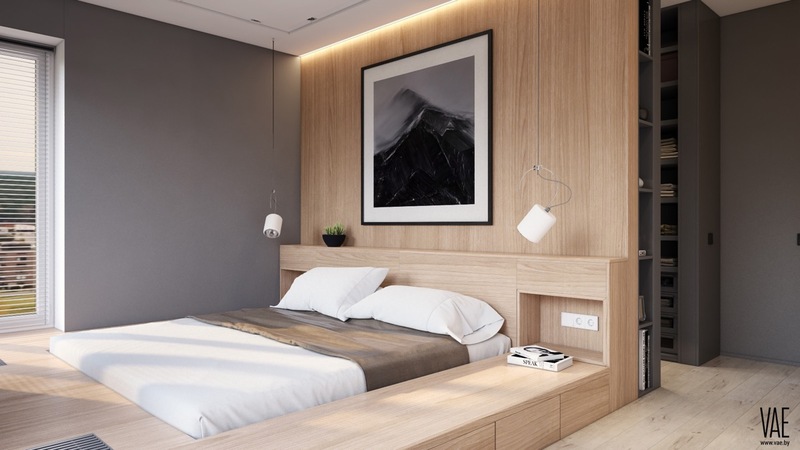 This room has multiple layers of lights for different purposes – practical yet unique bedroom pendants as task lighting, with softer indirect mood lighting radiating from the accent wall. Here are even more lighting ideas! 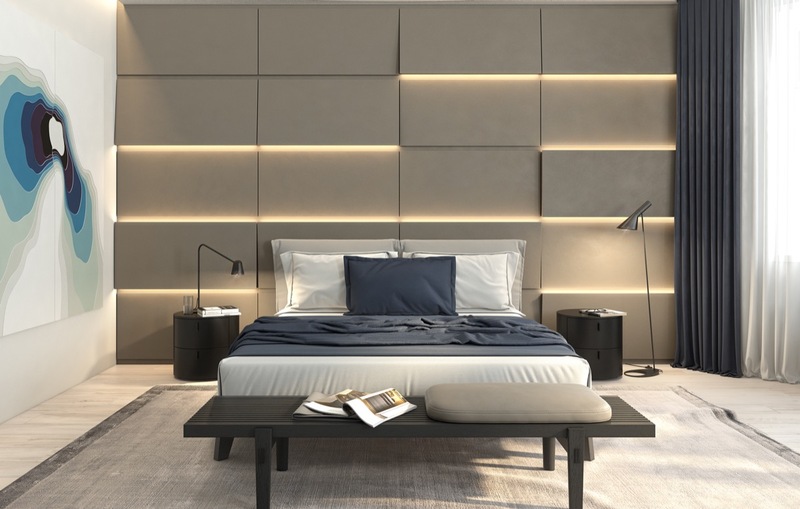 A backlit panel provides subtle lighting above the bed. The side table lamps are from the AJ collection by Arne Jacobsen. 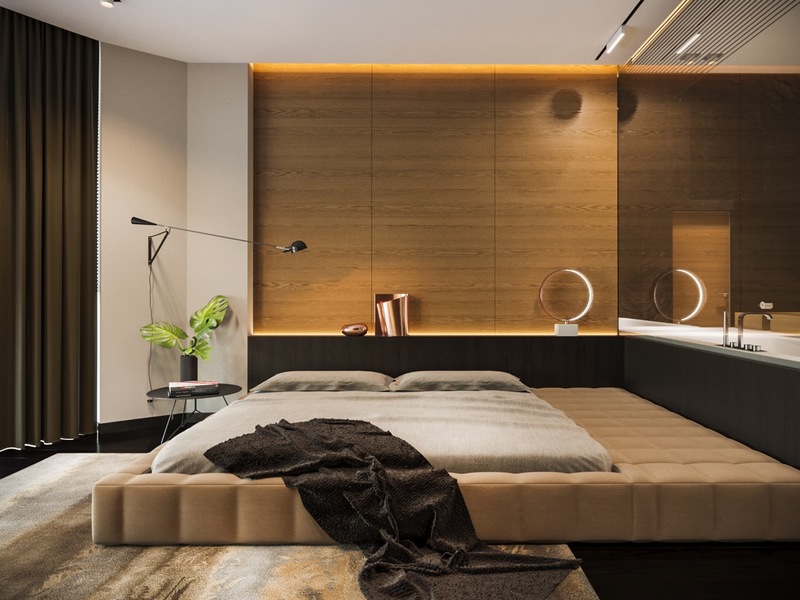 There is no shortage of bedroom lighting ideas out there. It’s all about determining the effect you want to create, like this ultra-modern geometric look. Now let’s check out a few cool accent wall options. 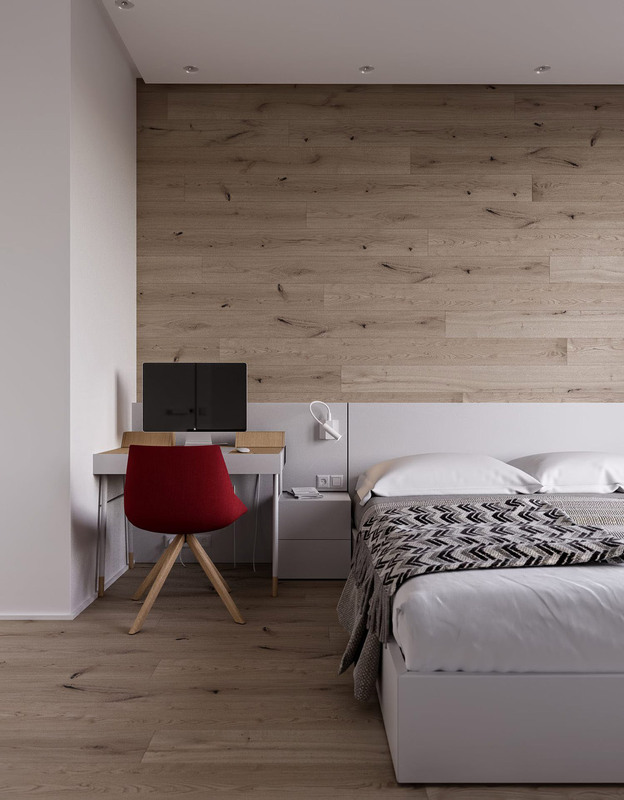 This wooden wall design is sleek, subtle, and adds warm natural appeal to the bedroom. 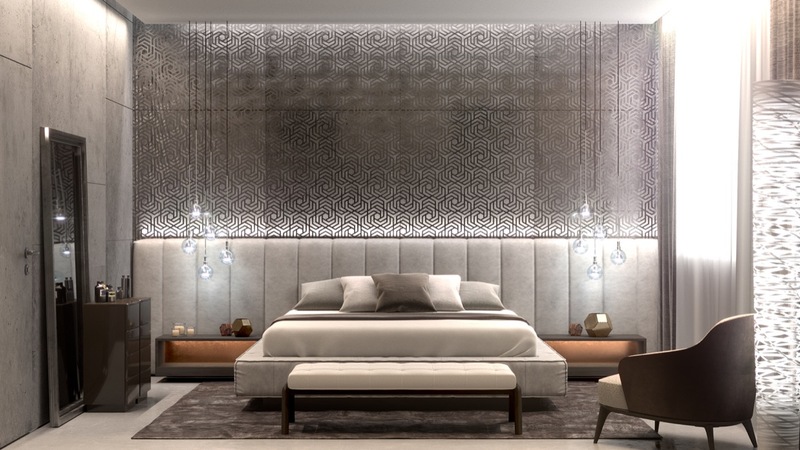 This textural accent wall allows the wooden headboard and low paneling to take center stage. A thin strip of mirror makes this arrangement stand out from the rest. 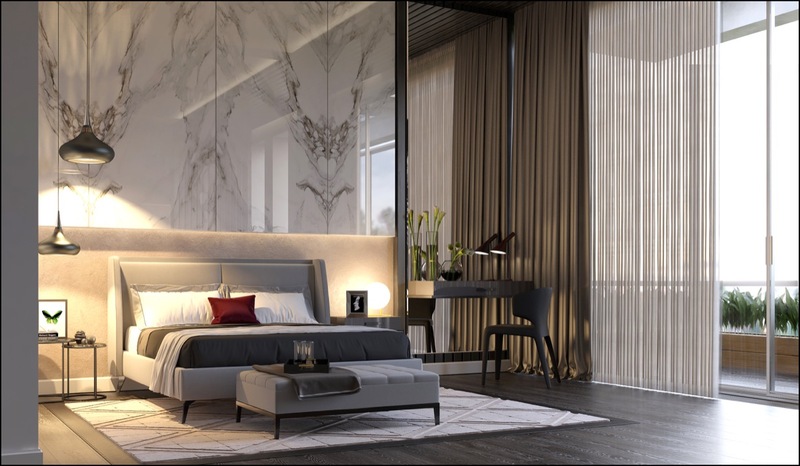 Marble is always a dramatic solution for high-end spaces like this! This application is highly polished, a great way to reflect the sunlight from the generous windows at the right. 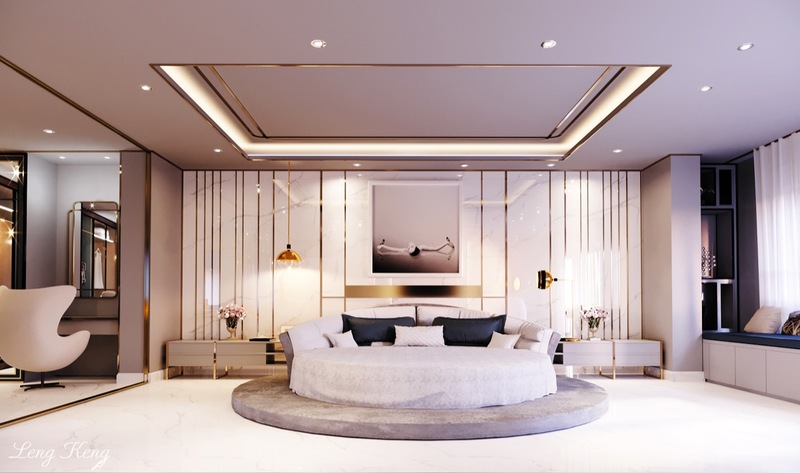 Just as elegant, this white marble wall includes gold-toned stripes to match the brassy trim in the rest of the room. 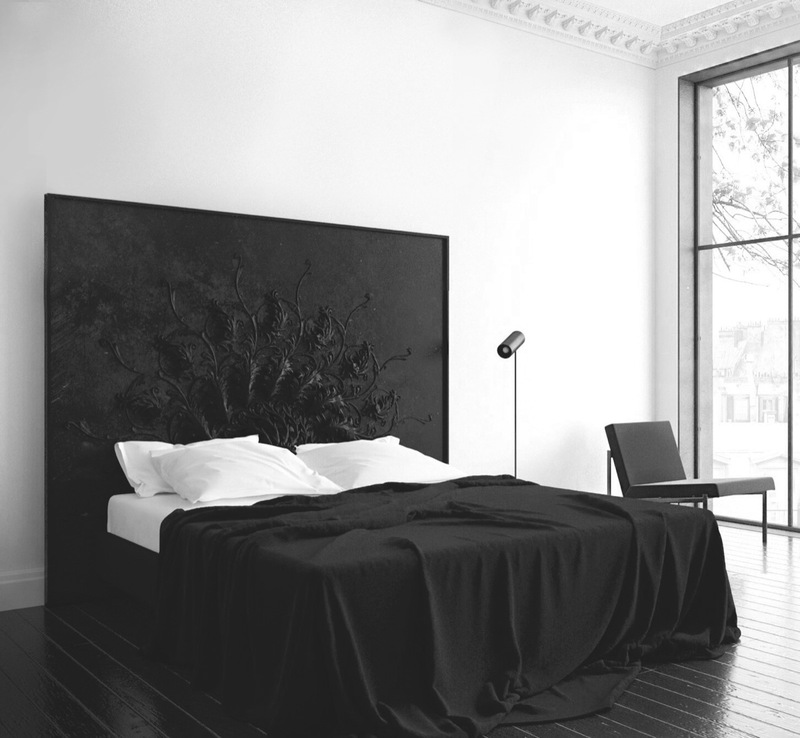 This black and white bedroom doesn’t even need high end wall panels – its unique headboard centers the design. 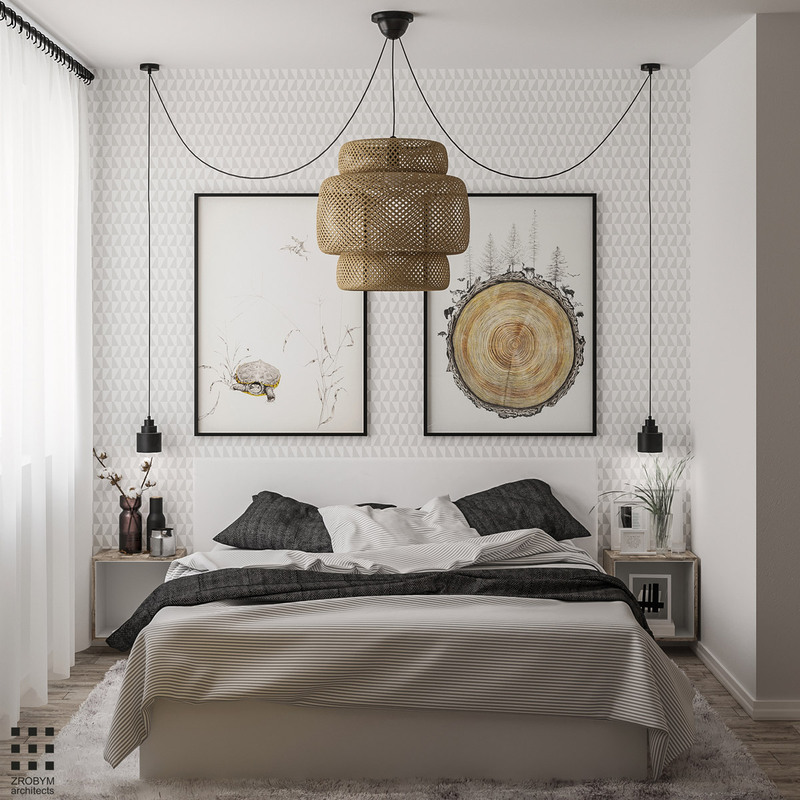 One of the benefits of Scandinavian style bedrooms is that the aesthetic allows for eclectic accent pieces like all these fun prints and sculptures lining the headboard wall. 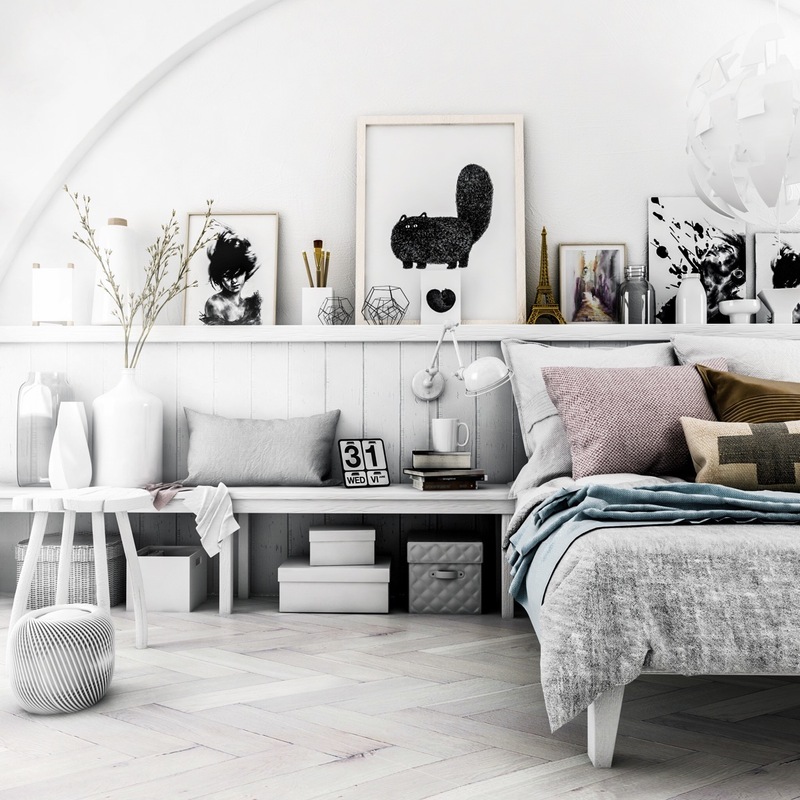 There’s a lot going on in this comfortable bedroom! The geometric wall serves as a fantastic backdrop for the nature-themed artwork, with the Ikea Sinnerlig pendant pulling the design together. 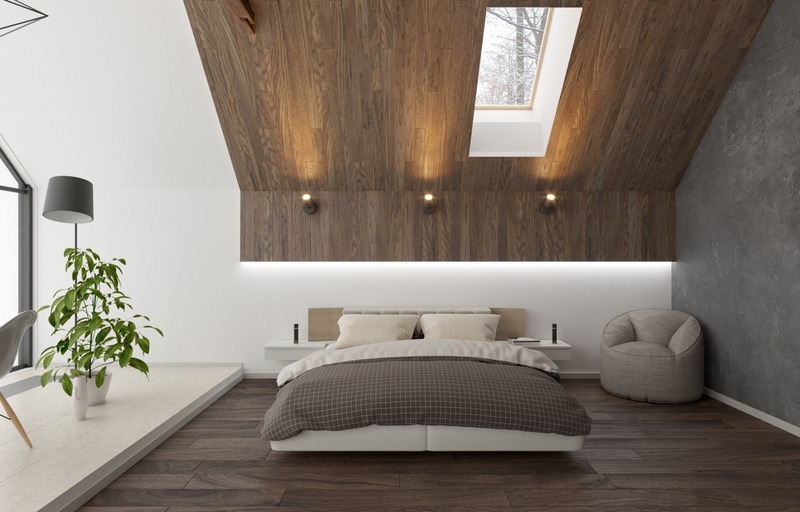 While vertical wood paneling can sometimes look dated, horizontal styles are easier to fit into a contemporary theme. Lighter woods tend to look more modern than darker ones. Now let’s look at bedrooms with unique form factors! 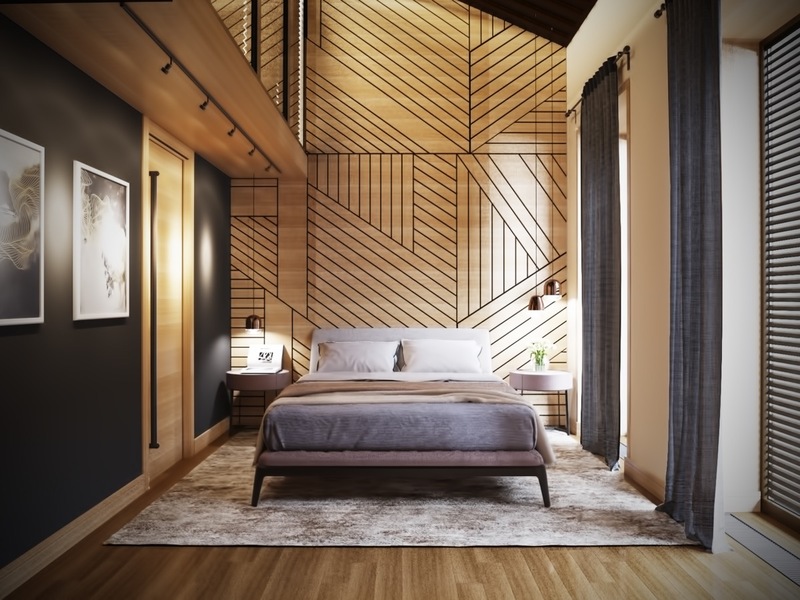 This room takes advantage of its height with artistic geometric wall panels. What a charming bedroom! 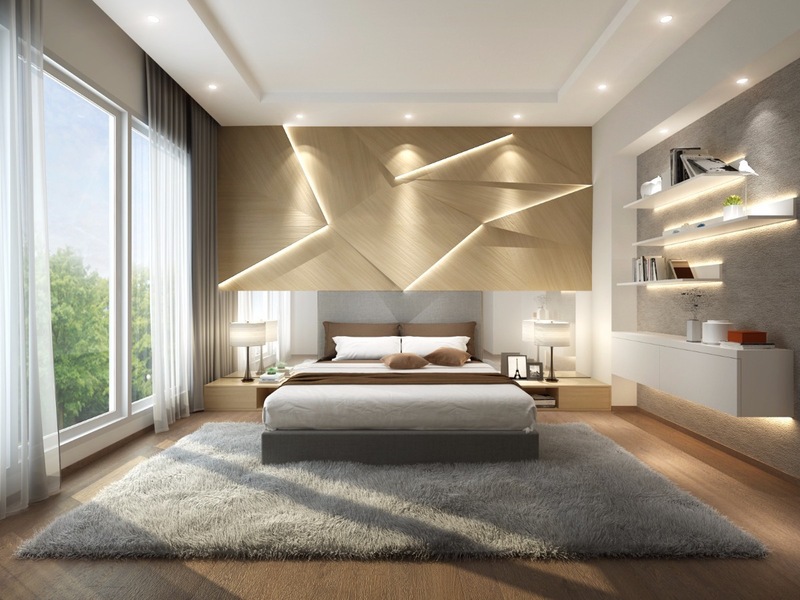 The angles of the bed frame cleverly echoes the shape of the walls and ceiling. Low beds are great for spaces with restricted vertical space. The ceiling isn’t truly low enough to cause any conflicts but the low bed contributes to better visual balance. On the other hand, the low ceilings of attic bedrooms can really get in the way. 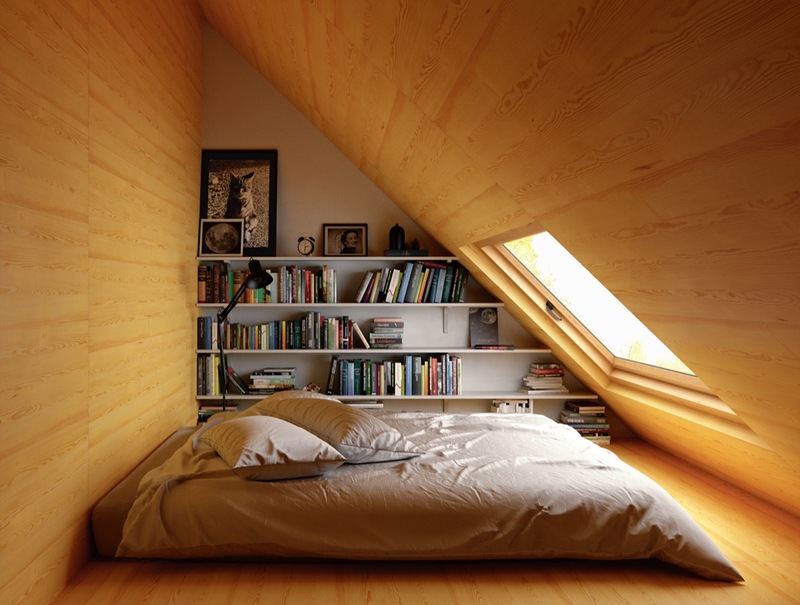 It would be difficult to sleep in a space as compact as this without using such a low bed platform. 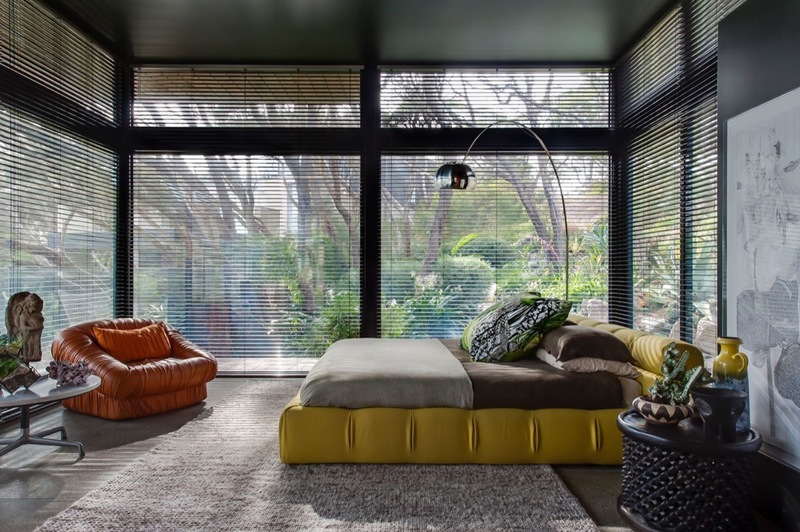 This rounded bedroom is so unique! It looks like it would take considerable athleticism to climb the ladder to the platform bed above – but it’s a cool space-saver for anyone that can navigate it! 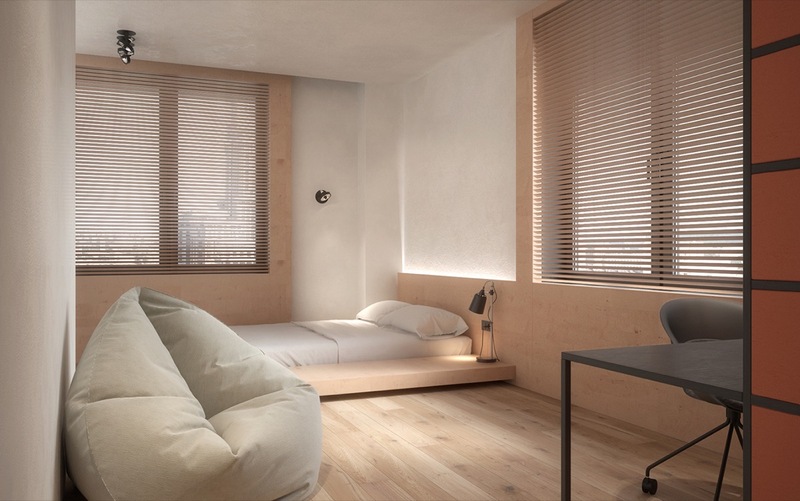 Here’s another space saving bedroom design, this time using a more traditional layout. The full wall of storage and compact desk help reduce visual clutter. Of course, removing clutter entirely is a completely different matter. 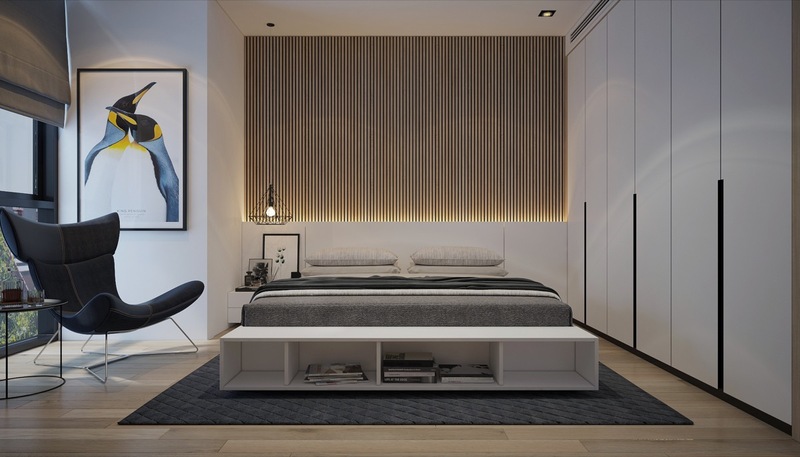 Fully minimalist bedrooms are tricky to create, but this one makes use of under-platform drawers for handy storage. This bed platform not only includes storage drawers, but makes lounging even easier with outlets and side table space as well. The platform is integrated with the closet wall for a cohesive look. 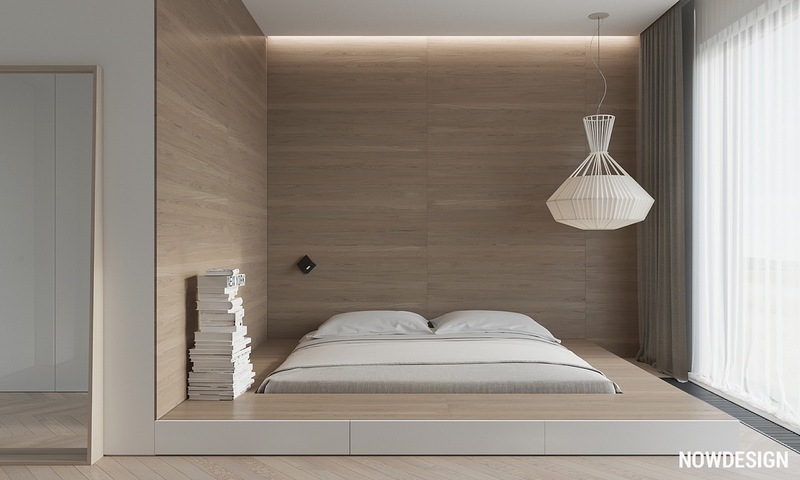 Flexible lighting sources define this minimalist bedroom. The perforated screen actually folds back to reveal the balcony, while the long curtain shields the space in between. 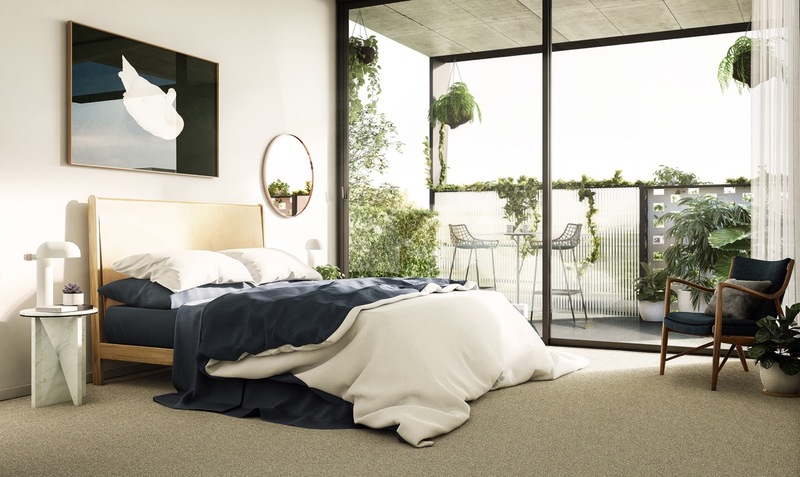 Those striving toward minimalism can appreciate the look of low height bed design for many reasons, but these types of beds offer a comfortable middle ground. 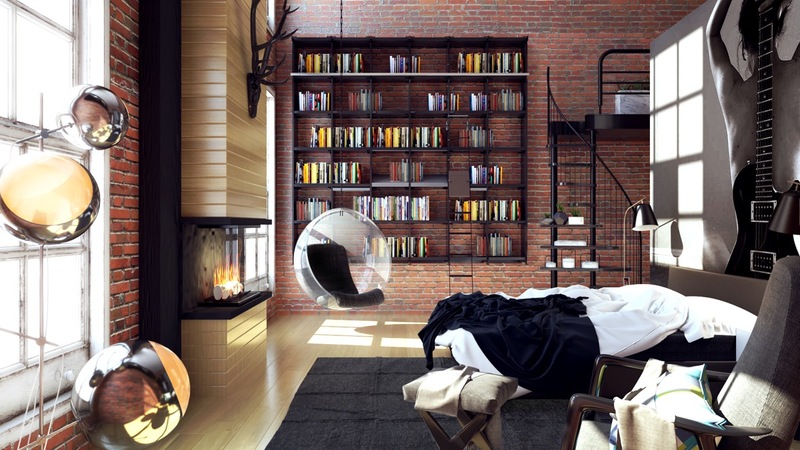 Here’s the edgy industrial-inspired bedroom of a stylish book lover. While the hanging bubble might not make for the most comfortable reading chair, its transparent shell allows plenty of sunlight to hit the pages. 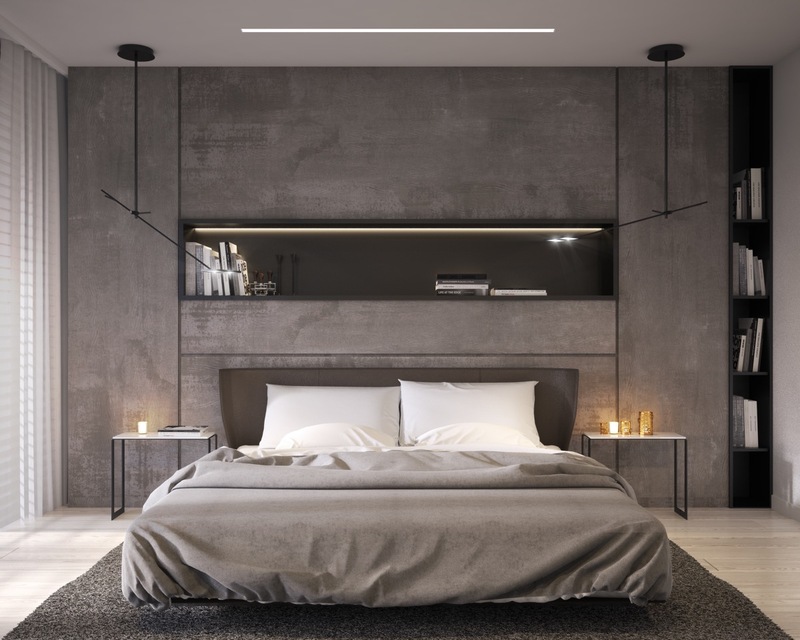 This concrete wall bedroom beautifully combines industrial influence and severe minimalism – but still leaves plenty of room for reading material. 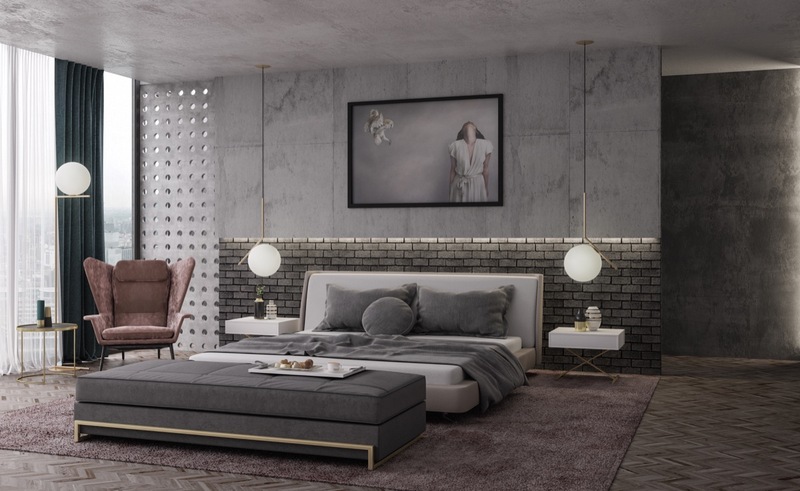 We’ve covered bedrooms with exposed brick walls and bedrooms with concrete walls, so here’s a space that combines both and adds in a dash of luxury with smart brass accents. Wooden accent walls are a common motif, but these thin vertical slats are still working their way up the food chain of trends. Thin wood slats are subtle, contemporary, and somehow capture the best of both industrial and rustic influences. Expect to see more of this style as it continues to catch on! 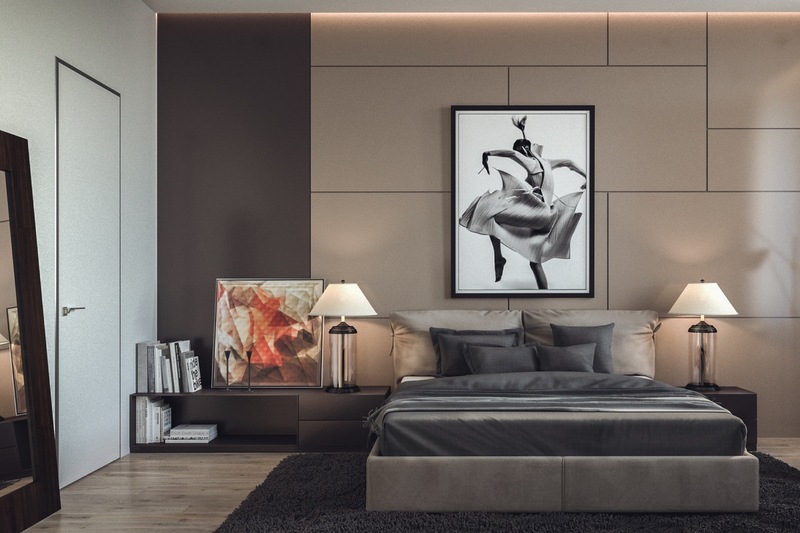 To close out this bedroom showcase, we’re going to admire a selection of rooms that include an uncommon accent color on a neutral backdrop, like this smooth space and its dramatic artwork. 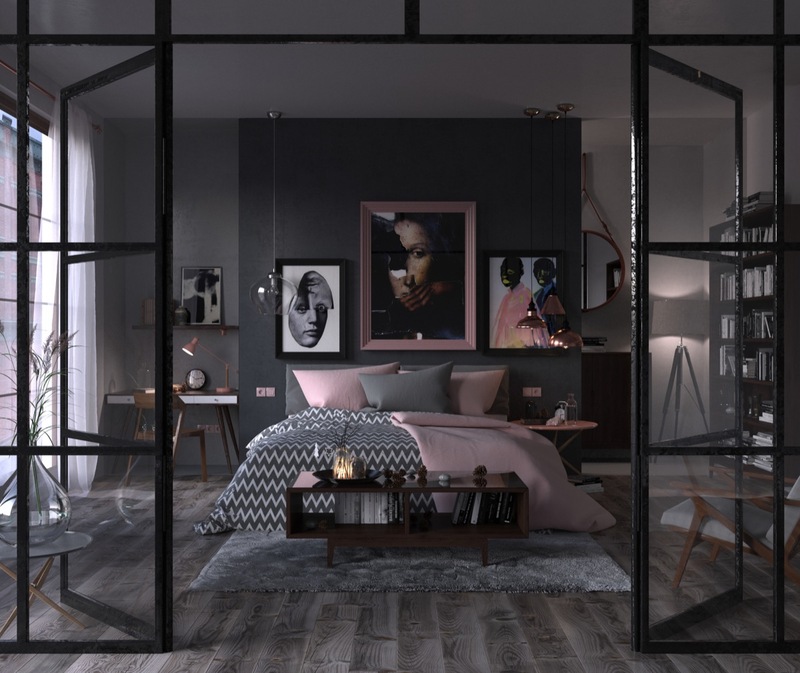 Dark grey bedrooms are so incredibly flexible when it comes to accent color palettes – these pastel pinks feel larger than life in this moody and mysterious retreat. Here, robin’s egg blue guides the eye along a bedroom filled with a variety of textures and patterns. The interior architecture is fascinating, but the color palette might be fun to emulate too. 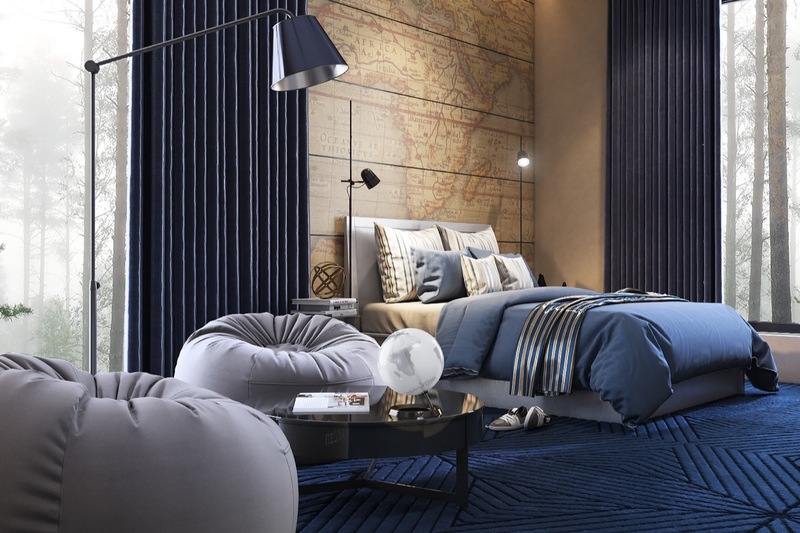 With its map accent wall and deep navy accent colors, this bedroom showcases the subtle side of nautical home decor. BEAUTY PRODUCT OF THE MONTH: You Need To Add This Anti-Aging Tattoo Care Serum To Your Skincare Collection Today.